In May this year the Cabinet appointed a Commission of Inquiry to consider the proposed organizational structure of the merger between the Ministry of Health and the National Health Services. Former Attorney General, Taulapapa Brenda Heather-Latu, chaired the Inquiry. 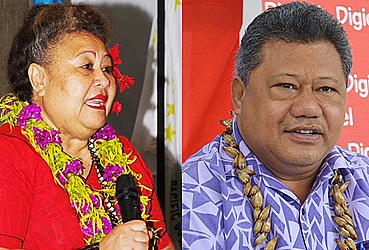 Commission Members include Professor Fui Asofou So’o and Fa’amausili Dr. Matagialofi Lu’aiufi. The lawyers assisting the Commission were Sefo Junior Ainu’u, the Assistant Attorney General and Chief Public Solicitor, and Shalon Time, a State Solicitor. • Consider and recommend options regarding the proposed organizational structure. It is important to place the events of March 2018 in a factual context in order to fully understand the events which led to certain decisions and actions. 1. 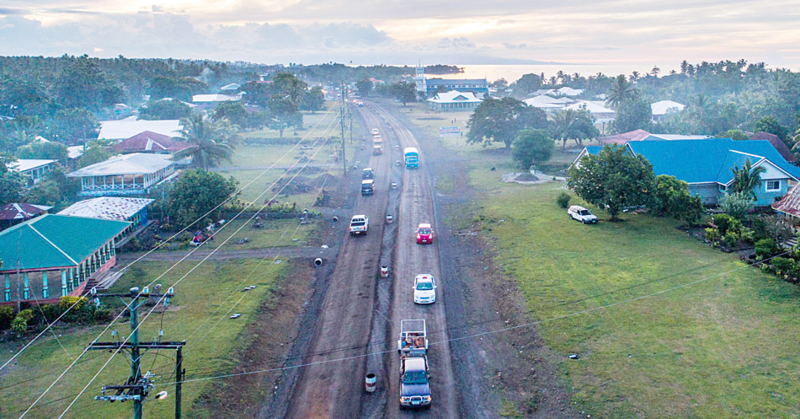 In 2006 the Health Sector was separated into two organizations: the National Health Services (‘NHS’) responsible for delivering all health services through the two hospitals: the Tupua Tamasese Meaole Hospital, ‘TTM’ Motootua, Apia, and Malietoa Tanumafili II Hospital ‘MTII’ Tuasivi, Fogapoa, Savaii as well as numerous District Health Centers in Savaii and Upolu, and the Ministry of Health (‘MOH’), responsible for health policy, monitoring the quality and standards of health services provided by NHS as well as other public and private providers (such as National Kidney Foundation and GPS) and responsible for public health initiatives. 2. In FK (13) 16 on 15 May 2013, Cabinet approved recommendations by the Remuneration Tribunal in respect of the Doctors’ Salary Scale which resulted in increases in their salary scale. There was an expectation within NHS that NHS would subsequently undertake a salary review of all other NHS staff. 4. On 21 June 2014, the NHS Board of Directors submitted a report, analysis and proposed new salary scales for all NHS workers to the Minister of Health, which were prepared after the approval of the Doctors earlier salary increases in May 2013, and which was part of the process to implement the new NHS structure based upon a corporate model which could be determined the sole authority of the newly legislated NHS Board of Directors. 5. On 1 August 2014 the new NHS Act 2014 came into force. 6. On 13 November 2014 the Minister of Health tabled the detailed financial proposal for the proposed new salary scales from NHS with Cabinet, requiring a response by Ministry of Finance in January 2015. The paper proposed new salary scales for all other workers employed by NHS, based upon the five (5) criteria had been applied in determining the Doctors new salary scale in 2013. The NHS salary scale proposal was the result of the work of a multidisciplinary committee from NHS and was part and parcel of the work undertaken to implement the revised new organizational structure under the new NHS Act and was intended to herald the start of a new organization. There was no input from MOH. 7. On 28 October 2015 the new NHS structure was approved by the NHS Board of Directors, and confirmed on 26 June 2016. The NHS Corporate Plan document approved by the Minister attached the new structure and heralded the plans to implement such. 8. On 20 January 2016, the Director General of the Ministry of Health formally requested the opportunity to comment on the recently completed Structural Review undertaken by NHS. 9. 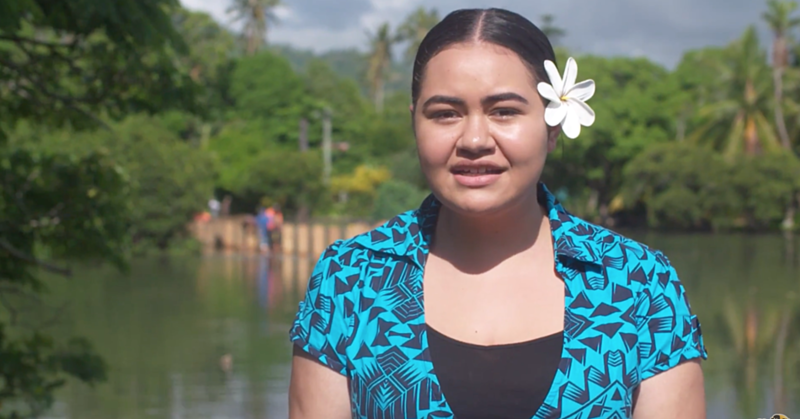 On 15 February 2016, the Samoa Nurses Association (who clearly were privy to the structural review) wrote to NHS objecting to the new Organizational Structure of the NHS on the basis there has been inadequate consultation with stakeholders. 10. In a letter dated 16 June 2016, the Director General of the MOH wrote a further request to the NHS Board for the opportunity to comment on the new NHS Structure. 11. A further letter from MOH to NHS on 22 July 2016 made the same request. 3. Implementation of the new structure had begun in January 2016; and attached a one page diagram of the new structure but no background papers or further explanation. 13. On 7 September 2016, (the paper tabled on 13 November 2014 for NHS salary increases based on new Organizational Structure) was returned to NHS by the Minister of Health’s Office with the request from the Cabinet Office, that it be updated before being resubmitted. passed and implemented without the Ministry’s input. 15. Also in September 2016, the Ministry of Finance indicated that it did not support the increases (and that they should be phased out) and required NHS to advertise all its existing vacant positions before it could proceed with its new structure. All positions were the advertised in the Public Service Circular and elsewhere and NHS was adhering to MOF’s instructions when it came to the attention of the Minister. 16. On 9 November 2016, Cabinet in [FK (16)42] approved the issue of a Ministerial Directive by the Minister of Health stopping all NHS appointments until a review was undertaken of all new positions. 17. The Minister then issued a Directive (dated 5 December 2016) freezing all NHS appointments to any new or existing positions, which resulted in stopping the further implementation of the new NHS structure. 18. In April 2017 the Minister of Health submitted a paper to Cabinet recommending the merger of NHS and MOH as one Ministry for the reasons set out in the paper. 19. On 9 May 2017 Ministerial approval was given to partially lift the ban in respect of certain essential and critical clinical positions of which 11 of the 20 critical positions were Medical positions, 2 were nursing with the remaining 7 for allied workers in the Laboratory and X-Ray departments. All other vacant and funded positions were to remain subject to the ban of December 2016, and no other occupational group employed at NHS has received a salary review or increase. 20. The high level Taskforce then commenced its work on 3 July 2017 initially meeting monthly and then more regularly as it received reports from its three sub committees. 21. On 16 August 2017 Cabinet approved the recommendations in the paper in FK (17)13 for the remerge of NHS and MOH, and confirmed the High Level Taskforce be responsible for implementing the Merge. 3. Appoint additional Board members recommended by the Attorney General. 23. On 22 November 2017 Cabinet issued a policy in FK (17) Fa’apitoa 13 that any change in the Structure of any Government body or the establishment of a new organization must follow the requirements of this policy. 24. On 9 March 2018 the Taskforce tabled its report to Cabinet and attached a proposed organizational structure for the new organization. 25. On 22 March 2018 a petition was submitted to Cabinet by ‘Nurses of Samoa’ which stated: ‘..we ask that our leadership function and role be maintained by retaining the Division of Nursing and Midwifery lead by a nurse appointed at the Deputy Director General level in the proposed structure of new health care entity that the current Ministry of Health and National Health Services are being merged into’ and threatened strike action if their requests were not answered. 26. On 28 March 2018 Cabinet appointed the Commission of Inquiry to examine the proposed structure for the merge and the Nurses submission. 27. NHS in its submissions, explained the actions which it undertook in 2014-2016 were due to the passage of the new National Health Services Act 2014 which had repealed the NHS Act 2006. The new Act was proposed by the NHS Board of Management with the aim of aligning the organization within the requirements of the Public Bodies (Accountability and Responsibility) Act 2006 as a corporate entity and brought the new organization within the statutory oversight by the Ministry of Public Enterprises ‘MPE’ as a Public Beneficial Body. 28. The former Chair of NHS (until October 2017), gave a detailed and structured response to the Commission’s queries about the background to the 2014 NHS Act and the consultations which were undertaken in respect of the resulting new NHS structure, which was included in NHS’s corporate plan 2017-2020 which had been approved by the Minister, as well as the detailed salary structure submission which had first been submitted to Cabinet in November 2014. The former Chairman was of the view that NHS needed to be run as ‘a business’ and the change to NHS legislation was to allow this to occur. 29. The Chair, Board and CEO of NHS were (presumably) of the view that given the considerable budget allocated to NHS and its statutory mandate, that the use of a corporate structure would best allow its resources to be better managed and distributed with benefits arising from the improved quality of services available to the public. 30. One might assume that this justification also met with the approval of the Finance Ministry and MPE in 2013 when the draft Bill was submitted to Cabinet by the Minister and successfully wound its way through the Executive process as well as the Legislative process and the policy decisions which underpinned NHS’ decision to propose a new Bill to change its structure was well explained and understood. In doing so however the Act would fundamentally and effectively alter the balance between service provider and regulator, which was a core feature of the separation of the two functions by health providers in 2006 which was at the time wholly consistent with prevailing Government policy and which had been successfully applied in the post and telecommunications sector; public works; construction and road works, as well as for public utilities such as electricity and water. 32. 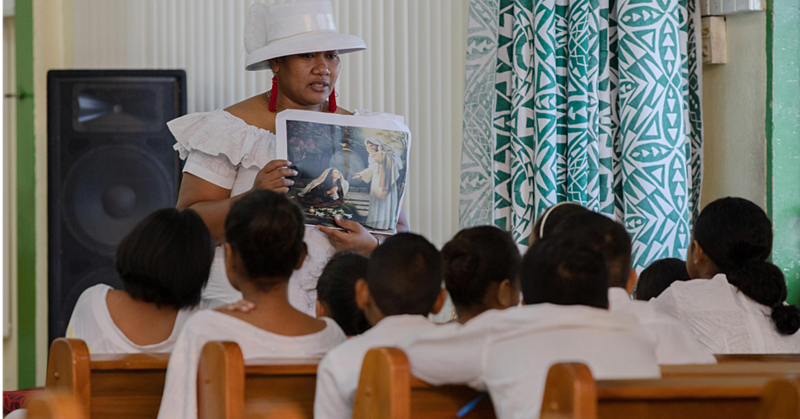 The Commission also considers that whilst the financial disciplines imposed by Public Bodies legislation may contribute to good financial stewardship and tight fiscal management for any corporate entity (but particularly those owned by Government), there is a difference with public bodies which are responsible for providing essential social services (such as the responsibility of NHS/MOH is to provide the people of Samoa with quality health services under health legislation), which in the health sector is subject to clinical standards and social needs which may not always be consistent with corporate goals and outcomes, and was the philosophy behind the distinction between public trading bodies and public beneficial bodies in the public bodies regime. The Commission members also recall that the SOE Regime for state owned companies was intended to eventually fall away as they became subject to the general companies Act regime and were simply ‘interim’ measures to prepare government entities for the normal corporate duties, obligations, and accountabilities – not all of which applied to the provision of essential public services.